Before we answer some basic questions you likely have about medical school letters of evaluation (Who should write my letters? How many do I need? How do I ask? ), let’s review the history and purpose of letters in medical school admissions. Like everything about the medical school admissions process, the letter of recommendation (LOR) has evolved from a fairly basic “stamp of approval” by a few teachers to currently, a letter of evaluation (LOE) that is more expansive. The transition to the LOR to the LOE was deliberate and followed the “holistic review” trend. Medical schools have been thinking about admissions in terms of whether a candidate has demonstrated the competencies that are desirable in a candidate – competencies that are required to be successful in medical school and residency. Increasingly, medical education has been thought of on a continuum from undergraduate (medical school years) to graduate (residency years) and beyond to fellowship training. Accrediting bodies are making sure they are communicating with each other and on the same page so trainees are prepared and the flow of training is more seamless. Consider that every medical student must now have a Medical Student Performance Evaluation (MSPE) – that “E” again – as part of their residency application. Keep in mind that many people use the terms LOR and LOE interchangeably. Are you applying to medical school this cycle? Sign up for a FREE 15 minute advising session with an admissions expert. HOW MANY MEDICAL SCHOOL LETTERS OF EVALUATION DO I NEED? Medical schools have slightly different requirements for the LOE, but, generally speaking, you will need to have a minimum of three. Most medical school applicants send in four to five letters of evaluation. AMCAS allows students to send in a maximum of ten letters of reference. MedEdits’ nontraditional or very highly accomplished students routinely submit up to eight letters of evaluation. WHO SHOULD WRITE MY MEDICAL SCHOOL LETTERS OF EVALUATION? We consider the ideal letter portfolio to include a total of six letters: three letters from science or math teachers/professors (any letter from a biology, chemistry, physics or mathematics teacher/professor), one research letter, one non science/math teacher/professor, and one clinical letter (ideally a physician). For osteopathic applicants, this clinical letter should be from an osteopathic physician. If you majored in something other than science or math, we suggest that your non science/math letter be from a teacher/professor within your major. If you attend a large university and know your teaching assistants (TAs) better than your professors, you can have the TA write the letter and the professor can cosign the letter. By the same token, if you did research primarily working with a lab assistant or post doc and had little contact with the principal investigator (PI), ask the person with whom you worked most closely to write the letter and have the PI cosign the letter. Letters from extracurricular mentors mainly serve as character references and, while they don’t hurt your candidacy, they won’t be overly influential. DO I NEED A MEDICAL SCHOOL COMMITTEE LETTER? If your school has a committee letter, you should make sure to qualify for it and have it. Not having a committee letter in your profile if your school offers one is a red flag to admissions committees. In order to receive the best possible committee letter, follow their process explicitly. The way you interact with your health professions advising office or with the committee will determine the quality of your committee letter. Be polite, be on time, give them quality responses to written questions/questionnaires and meet all deadlines. These actions are evidence of your professionalism and they will notice whether you are professional or not. WHAT SHOULD MY MEDICAL SCHOOL LETTERS OF EVALUATION SAY? Consider your letters in total – are key aspects of you covered? Do you have someone who can speak about you as a learner? A researcher? A scholar? An intellectual? An employee? Most importantly is a writer who can talk about character and your interpersonal skills vis a vis other humans – your future patients. Letters should provide rich content that cannot be known from looking at your transcript or list of activities. When necessary, letters can corroborate something that needs further explanation or underscore what you have talked about in your personal statement. Ideally your letter writers should know you quite well and be able to compose outstanding letters of evaluation. “Luke warm” or mediocre letters of evaluation can hurt your candidacy. The AAMC outlines what should be included in letters of evolution in this guidelines brochure: https://www.aamc.org/download/349990/data/lettersguidelinesbrochure.pdf .. Unless you have had direct contact with the “BIG NAME” in a work, academic, scholarly or extracurricular setting, and he or she can write about your distinguishing qualities and characteristics, a letter of this type can actually hurt your candidacy and be seen as disingenuous. Applicants should not get letters from someone with whom they haven’t worked or does not know them well. 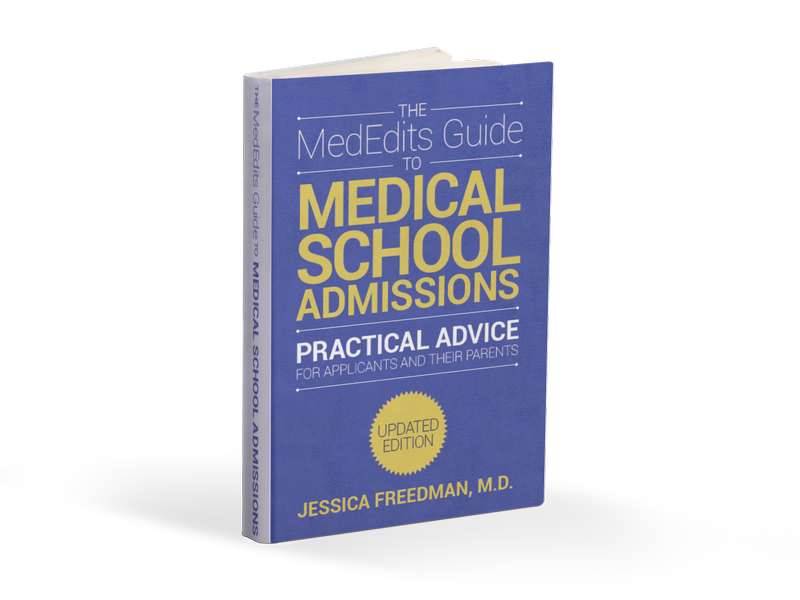 Medical school admissions committee members want to read letters from people who can truthfully discuss your accomplishments, characteristics, and attributes. WHICH LETTERS OF EVALUATION ARE MOST USEFUL? WHEN SHOULD I REQUEST MY LETTERS OF EVALUATION? When to ask for letters of evaluation in part depends on your working relationship with the letter writer. For example, if you take a fall biochemistry course and plan to ask that professor for a letter, you should request it as soon as the course is over assuming you won’t be working with that professor further. The more time you give your letter writers to compose their letters, the more likely they will be thoughtful and timely letters of evaluation. Ideally, you should request all letters of evaluation by April of the application year. Why? Professors receive tons of letter requests and you want to do your best to beat the rush so your letters of evaluation aren’t submitted late. If you will be getting a medical school committee letter, follow those instructions closely as mentioned earlier in this article. HOW DO I ASK FOR A LETTERS OF EVALUATION? There is not a forumulaic way to ask for letters of evaluation since because of the two variables above. For example, if you know your letter writer quite well and see her regularly, ask in person. How you ask again depends on your relationship. You might ask her when you see her, casually. Or, if you have a more formal relationship, maybe you would make an appointment to sit down with her. The key is to ask her if she’d be willing to write you a strong letter of reference for medical school. Then I suggest asking the letter writer what she would like from you to make the task easier. Offer to give her your CV/resume and personal statement. Ask what else she might need to make the process easier. Every letter writer has his or her own style for writing letters. Some may want to talk to you about your interests while others would be perfectly comfortable writing a letter with no additional information. For letter writers you don’t see regularly, it is perfectly acceptable to send an email request. However, if you don’t receive a reply in three or four business days, follow up with a phone call. I hope you are doing well. I am applying to medical school this summer and I was hoping you would be willing to write me a strong letter of evaluation. I really enjoyed your course in genetics and feel it gave me a firm foundation that will help me in medical school. I would be happy to meet with you and can send you my CV, personal statement, transcript, the AMCAS letter guidelines or anything else that might be useful. Thank you for your time and consideration. I look forward to hearing from you. HOW DO I NUDGE MY LETTER WRITER? After you submit your application be sure to check on the progress of your letters ensuring they have been received by AMCAS. If after two weeks of submitting your application, and assuming you gave your letter writer at least two weeks notice, if your letter hasn’t been received, I suggest reaching out to the letter writer via email, gently and politely reminding him about the letter. I hope you are enjoying the start of summer. I am happy to report that I sent in my medical school application two weeks ago. I know how busy you are so I wanted to make sure you are still able to write me a strong letter of evaluation in support of my candidacy. Please let me know if there is anything I can do or if you need any further information. HOW DO I THANK AND FOLLOW UP WITH MY LETTER WRITER? After your letter is received, be sure to express gratitude. I wanted to thank you for taking the time to write my letter of evaluation for medical school. I value your endorsement of my candidacy. I will be sure to keep you posted as the medical school application season progresses. Then, be sure you keep in touch with your letter writer throughout the application season! WHAT IF I AM ASKED TO WRITE MY OWN LETTER OF EVALUATION? I find that more and more letter writers are asking students to write their own letters. Why? Your professors are busy and simply don’t have the time! So, what do you do? I suggest following the AAMC letter guidelines: https://www.aamc.org/download/349990/data/lettersguidelinesbrochure.pdf. If you need further guidance on how to write a stellar letter of evaluation, contact us. BY WHAT DATE SHOULD MY LETTERS OF EVALUATION BE RECEIVED BY MEDICAL SCHOOLS? Ideally, you want your letters of evaluation to be received when your secondary applications are sent in or earlier. Since medical schools won’t review your application until the secondary application is received, you don’t need to stress if your letters haven’t been sent in by the time you submit AMCAS. That said, do not let this delay requesting your letters of reference since it takes some letter writers quite a long time to compose letters. In the ideal world, your letters should be sent in when you submit your medical school application. HOW ARE MY LETTERS OF EVALUATION STORED AND SENT TO MEDICAL SCHOOLS? 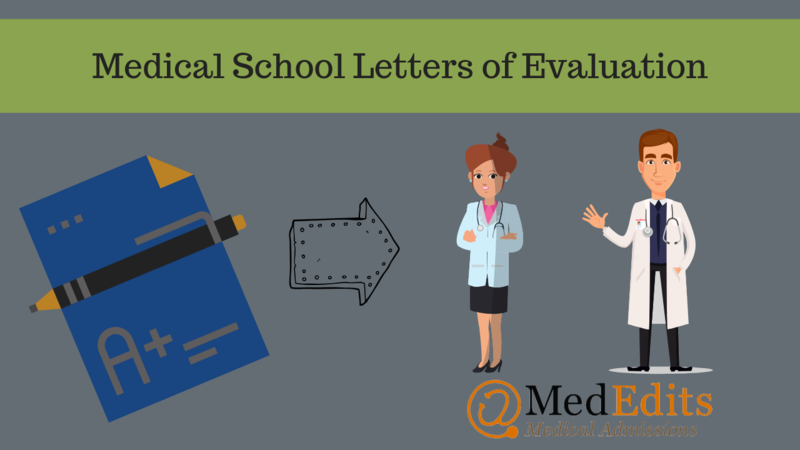 There are two primary ways to send your letters of evaluation to medical schools. Your college or university may collect and hold on to your letters of evaluation sending them all together in as a packet once you apply to medical school. Alternatively, letters of evaluation can be uploaded directly to AMCAS via the AMCAS letter writer application: https://services.aamc.org/letterwriter/. Finally, some applicants use a letter dossier service to store and send letters of evaluation. The two most popular dossier services are Interfolio and VirtualEvals. DOES AMCAS NEED TO HAVE ALL OF MY LETTERS OF EVALUATION FOR ME TO BE VERIFIED? Your application will be processed and verified even if your letters have not yet been received. As your letters are received, they will be sent to medical schools on a rolling basis. IF I AM A REAPPLICANT, DO I NEED TO RESUBMIT MY LETTERS OF EVALUATION? The answer is yes! AMCAS does not store letters of evaluation. Have any additional questions about letters of evaluation? Please email us: info@mededits.com.